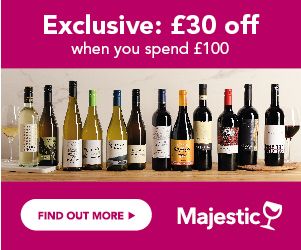 Find the best offers on Pinot Gris from major UK wine merchants. Use our search filters to find your preferred country, region, merchant or brand. Check out Price History, awards and reviews to achieve the right balance between quality and price. Sign up for Price Alerts and we will notify youas soon as your chosen bottle goes on sale. Pinot Grigio has sprung to fame over recent years, and has single handedly accounted for the dramatic rise in sales of Italian white wine in the UK. It is a grape that is grown increasingly, all over the world, but its heart is in Europe, with Italy and Alsace at its core. It’s a grape variety that can adopt many guises, from light, peachy, and fresh, to weighty, aromatic and complex, and this depends entirely on where and how it is grown. It’s a thin skinned grape, which can often take on a pinky/coppery tone, and is best harvested early. It is indeed a chameleon, historically producing rich, yet structured , aromatic dry whites from Alsace, where it was known as Tokay, to the light, fresh, delicate Pinot Grigios of northern Italy. Today, it is grown all over the world, but nowhere is it more popular than Italy, where is has single handedly driven sales of Italian wine in the UK, way up the rankings, overtaking France in terms of sales volumes.– The lure and success of sales of Pinot Grigio are so strong, that producers are even managing to make wine from this relatively delicate grape variety, as far south as Sicily. this is why choosing wine carefully is so important – the lure of sales success over quality; whilst there are some lovely Pinot Grigios being produced very carefully, in the higher altitude, cooler climate areas of the south, there is also a veritable sea of bland, dull, flat white wine emerging, poorly made, but with the magic ‘Pinot Grigio’ name on the label – so be careful what you buy! The range is wide – Italy, Alsace, Australia and increasingly New Zealand, where it has found a very welcome home. What Is The Background To Pinot Gris? The Pinot Gris is believed to be a mutant of the Pinot Noir, and plantings of this grape have been recorded in the Burgundy region as far back as the 14th century. It came to Switzerland and Hungary centuries ago also. Whilst it is now no longer grown in its native Burgundy, it has found established homes in several parts of the world. Its name means ‘grey’, and refers to the pinky grey colour that the grapes will turn. The Pinot Gris is distinctive in its colour as it ripens, turning to a pinky/grey or even copper colour, close to harvest time. In Italian in is pinot Grigio, and ‘Grauer Burgunder’, both meaning grey pinot. It is a grape that produces a variety of styles of wine – relatively low in acidity, with potential high sugar, which can turn flabby, and overalcoholic if ripened too much (except in the case of sweet Alsace wines), it performs best in cool climate regions and countries, where it retains freshness and acidity to balance the fruit. It is grown prolifically in north eastern Italy, through the regions of Venezie, Friuli, Lombardy and Alto Adige, and is also now planted much further south, although struggles to retain freshness here. It performs well in the cooler regions of Switzerland and in Germany’s Rheinpfalz. Alsace is a natural home, and here it produces rich, powerful wines, ranging from aromatic but very dry, to luscious sweet dessert wines. It has also now reached the New World, but once again, cool sub-regions are important. It is found in South Africa, Chile and Argentina, and is also performing well in Washington state and Oregon; but is probably most settled in Australasia, both in the relatively cool Victoria region of Australia, but especially in New Zealand, where it is becoming one of the most popular grape varieties planted. Here plantings are increasing, especially on the south island, and the wines are aromatic and powerful – care needs to be taken with the sugar levels, to ensure that the wines retain balance, but there is great potential here. What Does Pinot Gris Taste Like? Pinot Gris has a variety of guises. In northern Italy it produces, gentle, light dry whites, with notes of peach, flower blossom, pears and baked apples, and is very rarely oaked, with producers focussing on the freshness and relative lightness of the style of wine. In Alsace, where it was formerly known as Tokay, it produces highly aromatic, yet bone dry wines, in the typical Alsatian style, where the sugars are all fermented out to alcohol, whilst retaining high levels of fruit and aromatic intensity, and a natural high acidity. It is in Alsace that it also produces the unique ‘Tokay, or Pinot Gris a petits Grains’, a lusciously sweet dessert wine from late ripened, shrivelled, intensely sweet grapes. New World styles of Pinot Gris vary, with some producers picking up on the Italian style. Generally speaking the wines from the New World, especially New Zealand are fuller, spicier, and somewhere between the Italian and Alsace styles; in New Zealand in particular the wines are full, aromatic, and increasingly elegant, with an edge of residual sugar, and a gentle, spicy style. Where Is Pinot Gris From? Pinot Gris originated in Burgundy, and was grown extensively in Hungary and also Switzerland as far back as the 15th century. It is now grown most famously in northern Italy, but increasingly all over the world, in cooler regions, including Rheinpfalz in Germany, Alsace, Australia and New Zealand. What Does Pinot Gris Go With? The lighter styles of Pinot Grigio are great aperitif wines, and also work well with light styles of food, from prawn and tuna salad to seafood pasta, grilled chicken, and pan-fried fish. The richer, fuller styles from Alsace and New Zealand are superb food wines, especially with anything vaguely spicy. Their natural aromatic style, and slightly off dry edge make them a natural match for Thai and other oriental cuisine, mild curries, ginger and coriander baked salmon, and chilli- spiced dishes. These wines also work extremely well with washed rind and soft cheeses, especially rich, more pungent ones. In its sweetest guise, as a dessert wine, it is superb with crème brulee, lemon or apricot tart and citrus fruit based desserts, as well as strong blue cheeses.